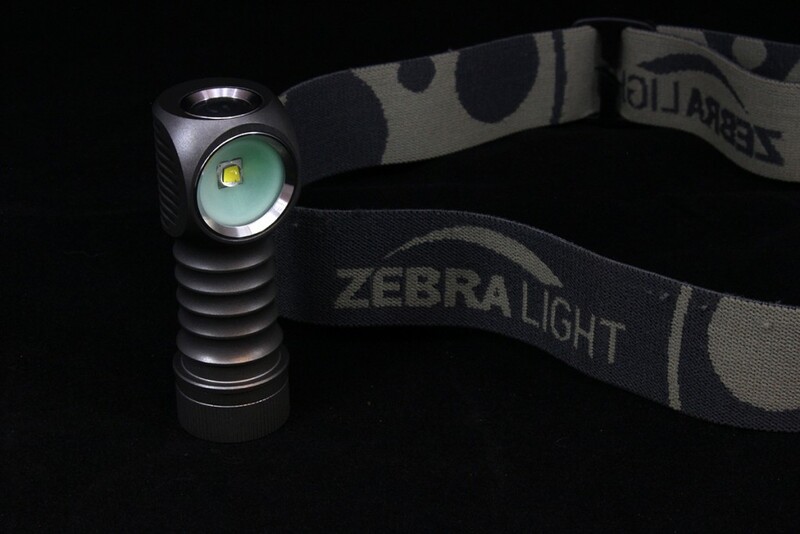 One of Zebralight’s latest LED headlamps, the H302w ($69.00) is powered by a neutral white Cree XM-L2 and single CR123 for a manufacturer-reported output of up to 446 lumens. 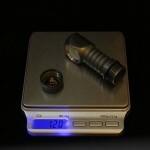 This light is a ‘pure flood’ version with a 120 degree cone per Zebralight’s specifications. 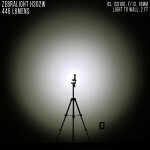 In lieu of a reflector, the light features a glow in the dark cone around the LED. 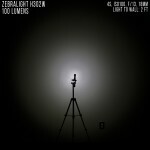 The body of this light is made from two 6061-T651 aluminum – one piece for the main body/housing, and a second for the tail cap. Hard anodizing (MIL-A-8625 Type III or some equivalent) gives the light a dark gray, resistant finish. The majority of camp tasks I perform requiring light are up close, and I did not find a spotty beam to be particularly useful for that purpose. 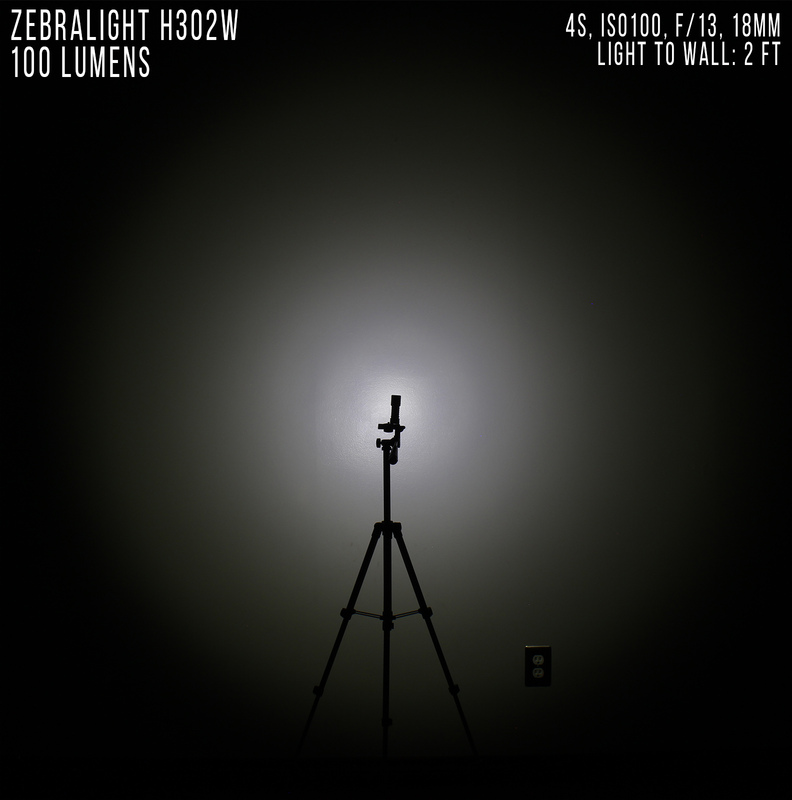 The pure flood of this light provides uniform light over a wide area, even when used up close. The high setting outputs ranging from 100 to 446 lumens gave me confidence that the flood could still illuminate far enough ahead for walking/hiking in the dark. Weight and size were reasonable. 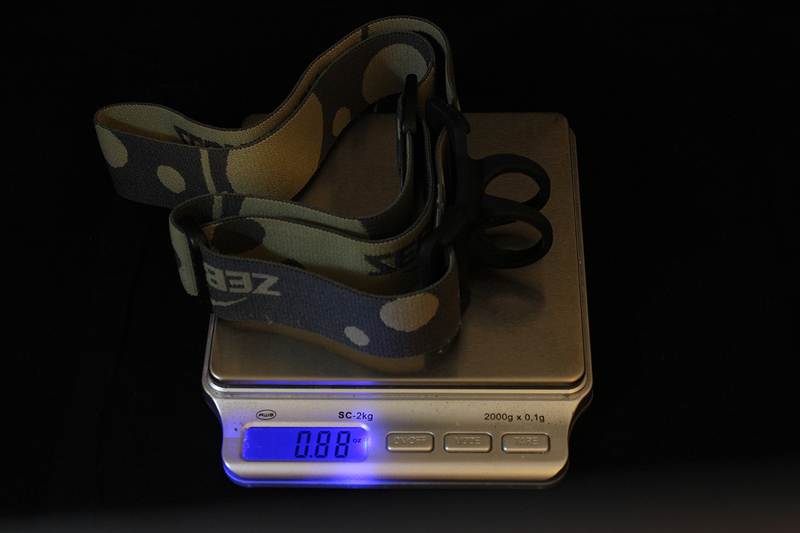 Weighing in at approximately 2.7 oz for the light, battery, and headstrap, the H302w definitely falls into the lightweight category. 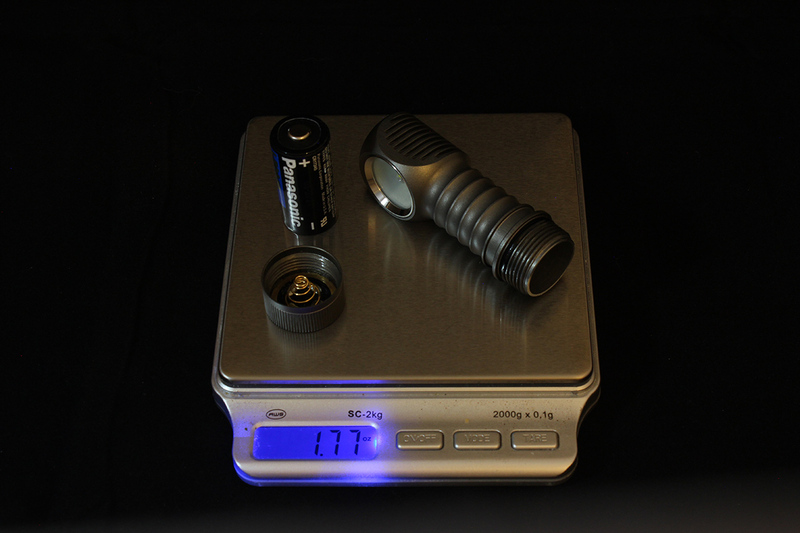 While not a particularly unique feature amongst LED lights, a variety of settings helps adapt to various light conditions and stretch battery life. 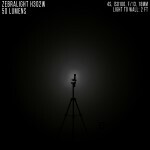 With 10 settings from 0.01 to 446 lumens of light providing 3 months to ~1.4 hours of light, respectively, this light does provide a good bit of flexibility in this regard. I took the H302w on a camping trip to Caprock Canyons State Park for a test. The headband was comfortable and held the light securely. After an hour I experienced no discomfort from the band, and overall I liked it. However, I had one issue with the silicone holder. 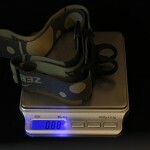 When adjusting the band, the light is the easiest thing to grab and pull to readjust, especially with gloves on. If doing this, the tabs on the silicone holder are drawn in and must be pushed back to the sides after readjusting. A minor annoyance, but there’s room for improvement in this area. The high settings provided ample light for a few yards ahead while moving about the camp. M1 (50 lm) worked fairly well for this purpose, but for this beam type I consider it to be the lowest acceptable intensity for hiking in this environment. 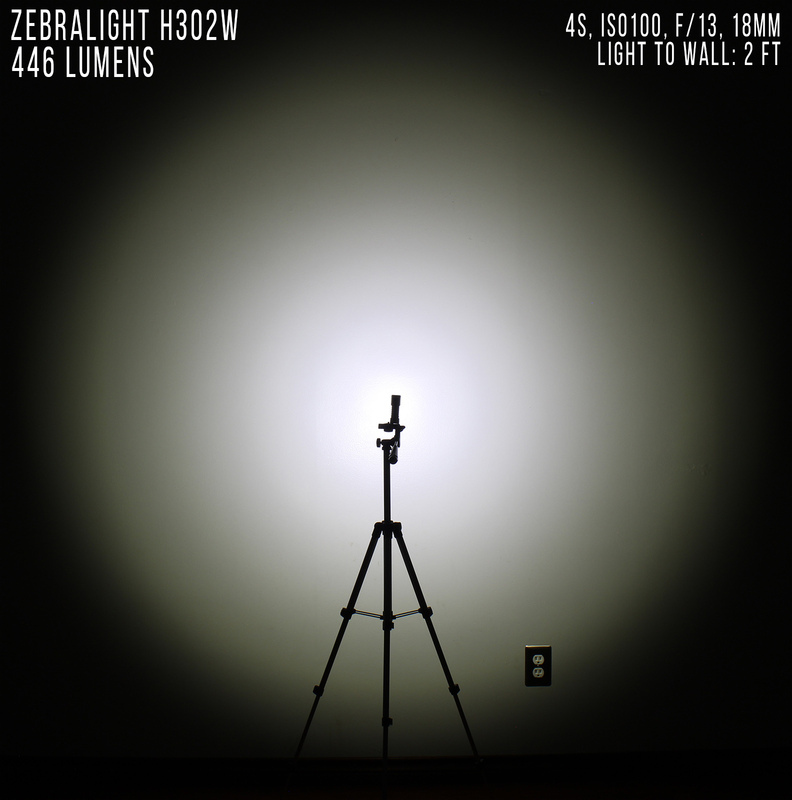 When running at higher outputs such as 446 and 245 lm, the light gets hot to the touch, but not unbearably so. However, the heat was uncomfortable enough that I would not plan on holding it for more than a few seconds in use at high output levels. 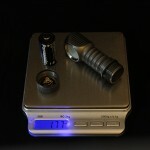 Both M1 and M2 settings were excellent for close up work such as getting a stove set up or sorting through a pack. The wide flood and uniform illumination provided appropriate lighting for these types of tasks. M1 easily saw the most use of any setting. Due to the bright full moon, it was difficult to determine how useful the lower settings were, even in the tent. In these conditions, I found only L1 (2.5 lm) to be useful. In use as a headlamp, I could not tell whether the light was on with any of the L2 settings. 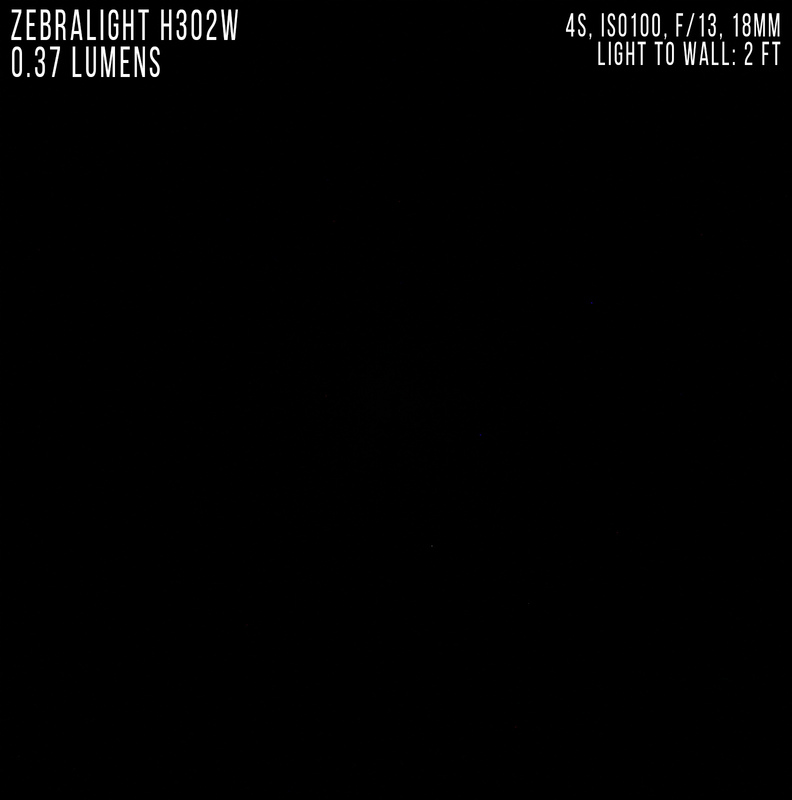 In a completely dark room, 0.37 lm was sufficient to see. 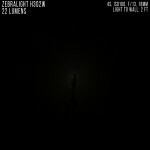 The very low L2 settings might be useful as a beacon or when holding the light by hand. In dark conditions, the glow in the dark “reflector” provided usable up-close light in the tent for a short period of time after the light was used on setting M1 or higher. After experimenting with the light settings, I found that with the exception of H2, I used all of the default brightness sub-levels. Instead of the default 245 lm setting, I opted for 100 lm for a couple reasons. First, I figured that the 245 lm setting was too close to 446 lm in terms of battery life (1.4 hours vs. 1.6 hours) – I would just use the maximum setting if maximum brightness was necessary. 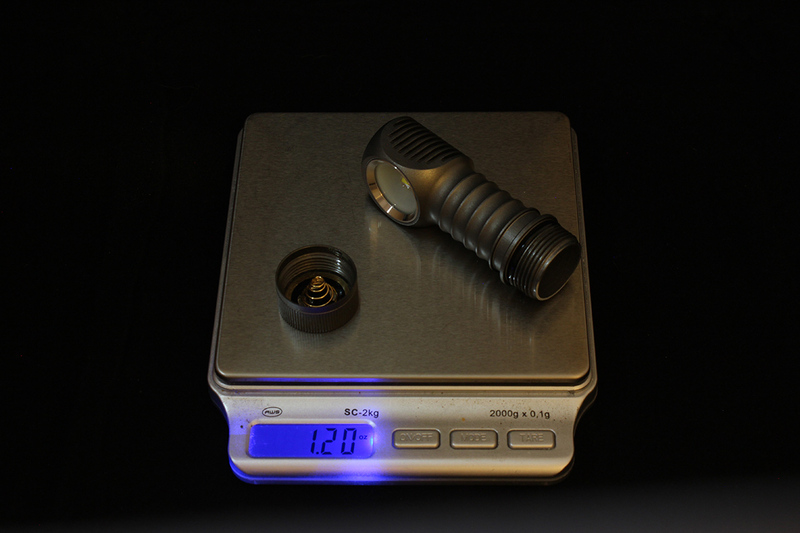 Second, the 100 lm sub-level runs a little over three times as long and still produces are very usable bright output for up-close tasks. To illustrate the relative brightness between the six settings I chose (H1: 446 lm, H2: 100 lm, M1: 50 lm, M2: 22 lm, L1: 2.5 lm, L2: 0.37 lm), I took beamshots of each setting in a dark room against a semi-gloss light gray wall. As noted in the images, camera settings were 4 second exposure, ISO 100, F/13, and 18mm focal length. Distance from the light to the wall was 2 feet. NOTE: Reflection from the wall’s glossy finish exaggerates the slight hot spot near the center of the beam. 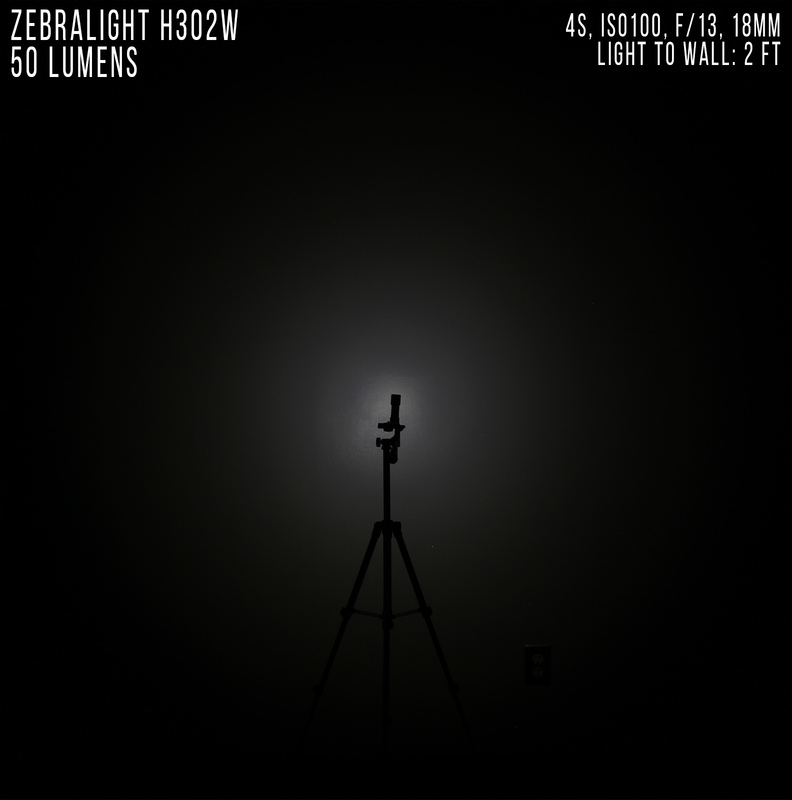 I found the Zebralight H302w to be well constructed and provide excellent lighting within the limitations of a pure flood beam, and I would not hesitate to recommend the light to anyone seeking a headlamp of this type. A minor issue with the silicone light holder prevents headband adjustments from being made one handed or very quickly.